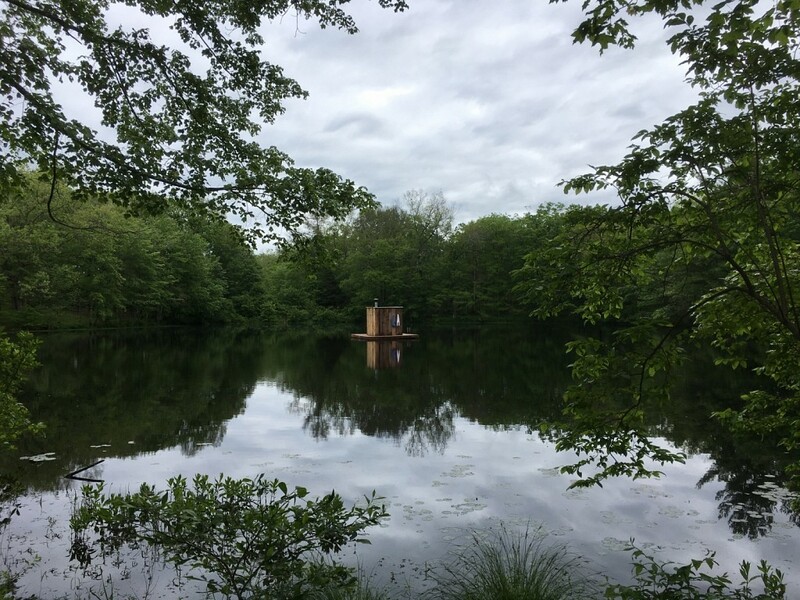 Created for I-Park's 2017 Site-Responsive Art Biennale in East Haddam, Connecticut, May 2017. The past several years my material practice has focused on resiliency and reflection. What is the lifespan of the work? What is its purpose? Will the materials used negatively impact the site in which it will reside, or have recently impacted a landscape further afield? 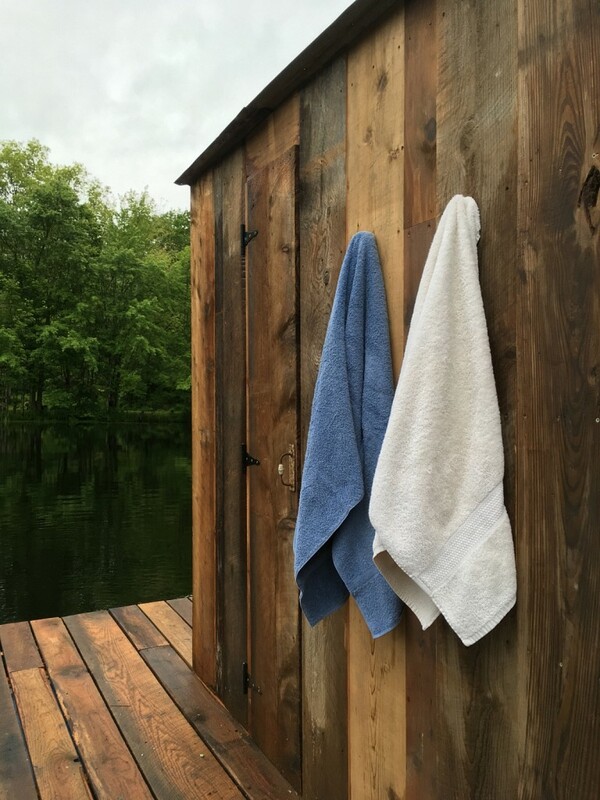 For Sauna Island, salvaged lumber was used exclusively. 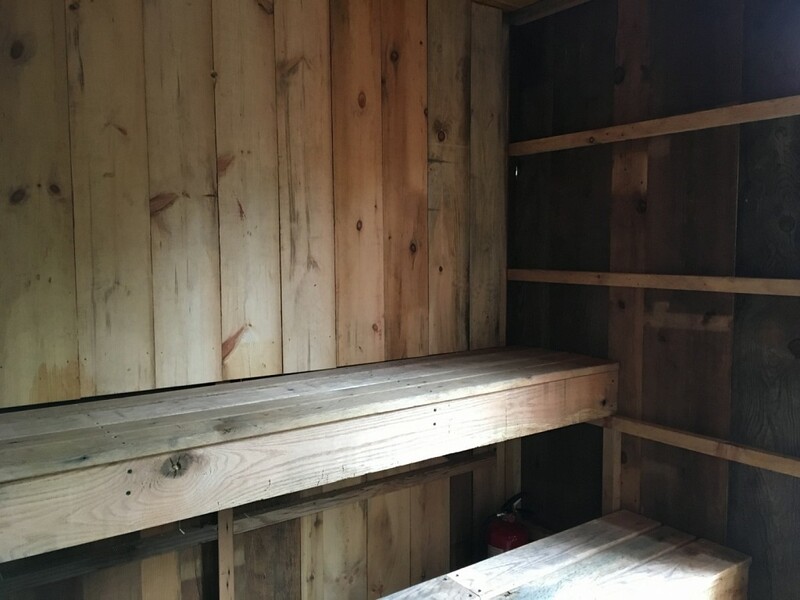 Rough sawn lengths of oak, pine, and other pieces of reclaimed lumber were plentiful on site, and I ended up using the majority. While the pieces took longer to prepare, each inevitably imbued the final outcome with a history, character, and ethos in line with my purpose and practice. 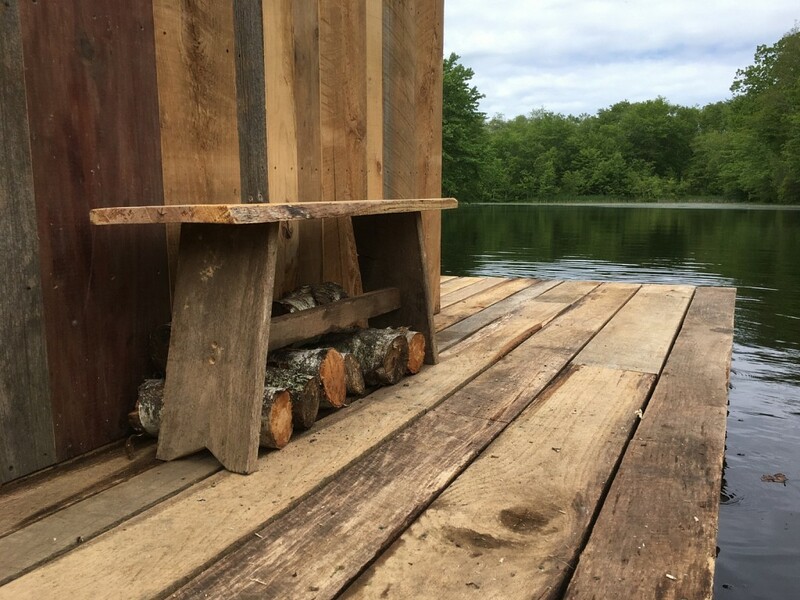 Recycled fifty-five gallon barrels float the structure. 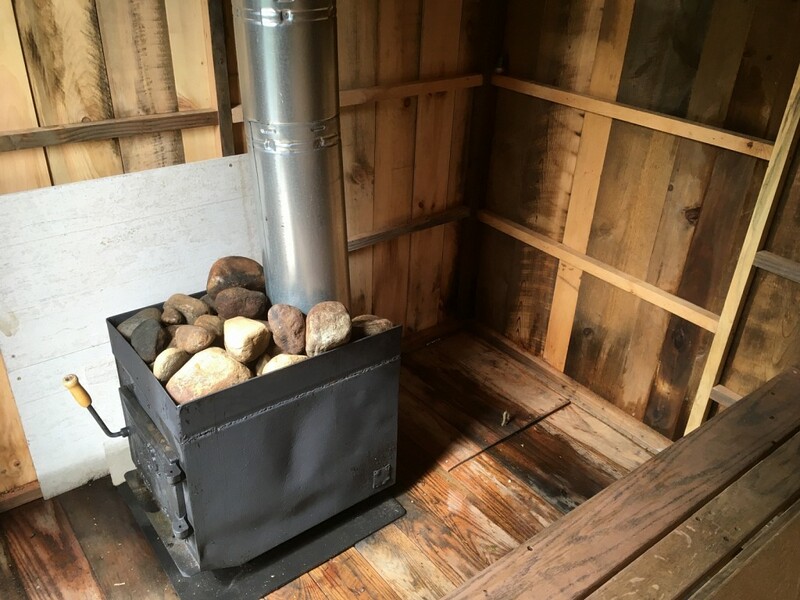 Old pieces of hardware, corrugated roofing, and a heavily modified and restored hearth stove complete the metalwork. Smooth rocks gathered from the immediate area make for suitable sauna stones. 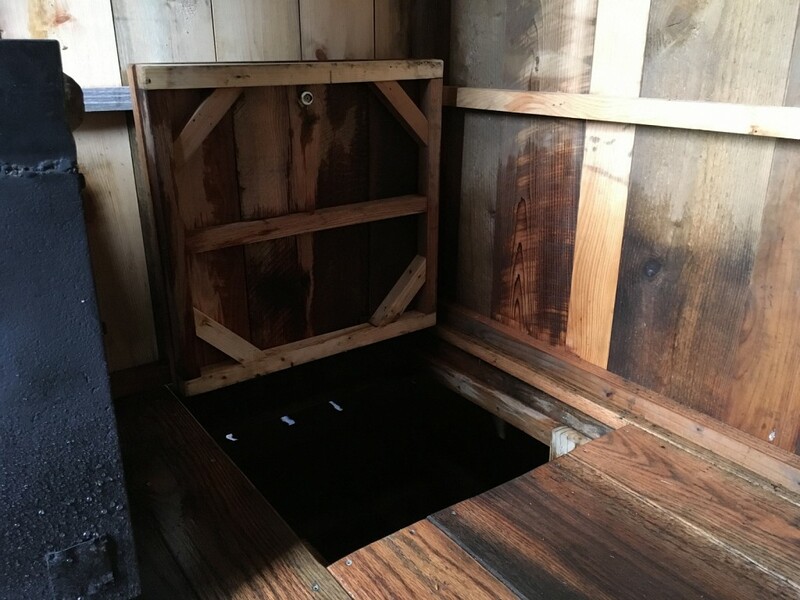 The only new items used are several boxes of screws, a box of nails, fresh ropes to create a stable mooring, and a double-walled stovepipe to replace a rusted, less fire-safe original. It is a social sculpture, designed to be completely modular; moved and assembled by a small group, and then fired up for a communal steam. 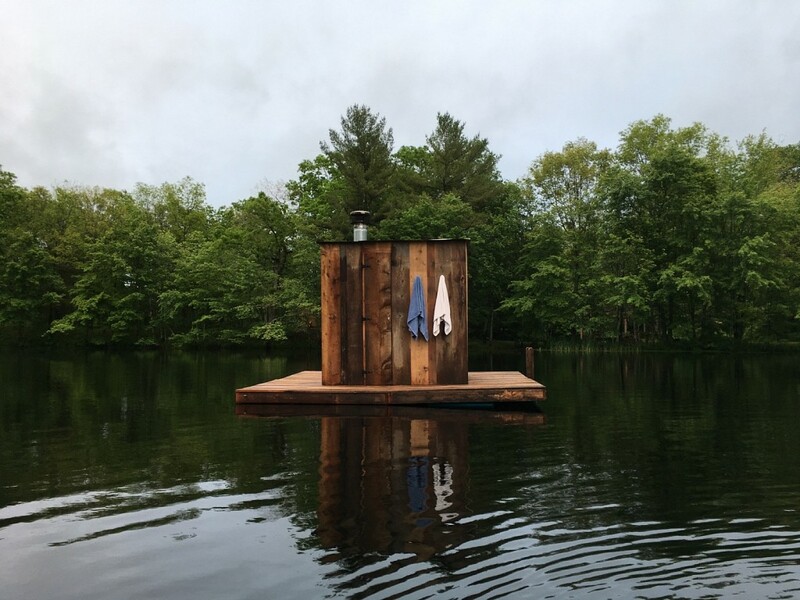 Sauna Island was activated by a new ensemble of interlocutors each month. This is their temporary island, their sovereign space to colonize only for a moment, their leeway to consider what lies beyond the four walls and the surrounding water.